Successfully Added Anet A8 3D Printer i3 DIY Kit - Multiple Filament Types, Large Printing Volume, 0.004mm Precision, SD Card Slot to your Shopping Cart. Meet the Anet A8 3D Printer i3 DIY kit – a desktop 3D printer that allows you to print anything your mind can imagine. As this compact 3D printer comes in the form of a DIY kit, it is the perfect tool to enter the world of 3D printing in a fun and affordable manner. Featuring a durable design and coming with laser cut aluminum alloy parts; this 3D printer is easy to assemble by following the manual without the need of any prior technological knowledge. With its 220x220x230mm printing volume, this DIY 3D printer allows you to print decent sized objects in up to no time. With an extreme printing precision of 0.04mm, you can be assured that the i3 DIY kit delivers great result – allowing you to create any object you can imagine in stunning detail and with great precision. Coming with a smooth aluminum alloy printing surface, the performance of this affordable 3D printer is further increased as it guarantees the delivery of a smooth and high-quality 3D printed end product. Supporting both STL and G-code data formats, the Anet A8 3D Printer allows you to use one of the thousands of freely available 3D printing designs and models that have been previously created by 3D printing enthusiasts. Perfect for true printing artists and beginners alike, the i3 DIY kit is sure to deliver a stunning experience to anybody out there. Thanks to its adjustable temperature control, the Anet A8 allows you to use an abundance of printing filaments. Allowing you to work with PLA, ABS, Nylon, Flexible PLA, PVA, and Wood-Polymer, this DIY 3D printing kit is guaranteed to support the right printing material for whatever project you’re currently working on. With a printing speed of 120mm per second, this 3D printer is able to produce high-quality 3D prints in the blink of an eye. Simply slide in your SD card or USB pen and you’ll be able to effortlessly print all your designs in up to no time – truly taking your artistic capabilities to the next level. Being compatible with all the latest Windows systems, Linux, and Mac – the Anet A8 3D Printer i3 DIY kit supports all the major operating systems, making it a great tool for anybody out there. Perfect for artists, tech-geeks, hobbyists, or designers – this remarkable and cheap DIY 3D printer kit offers you the perfect way to get familiar with the world of 3D printing. Additionally, it is a great tool that can be used in high-school classrooms and at university lectures for educational purposes – bringing some excitement and countless hours of fun into the classroom. 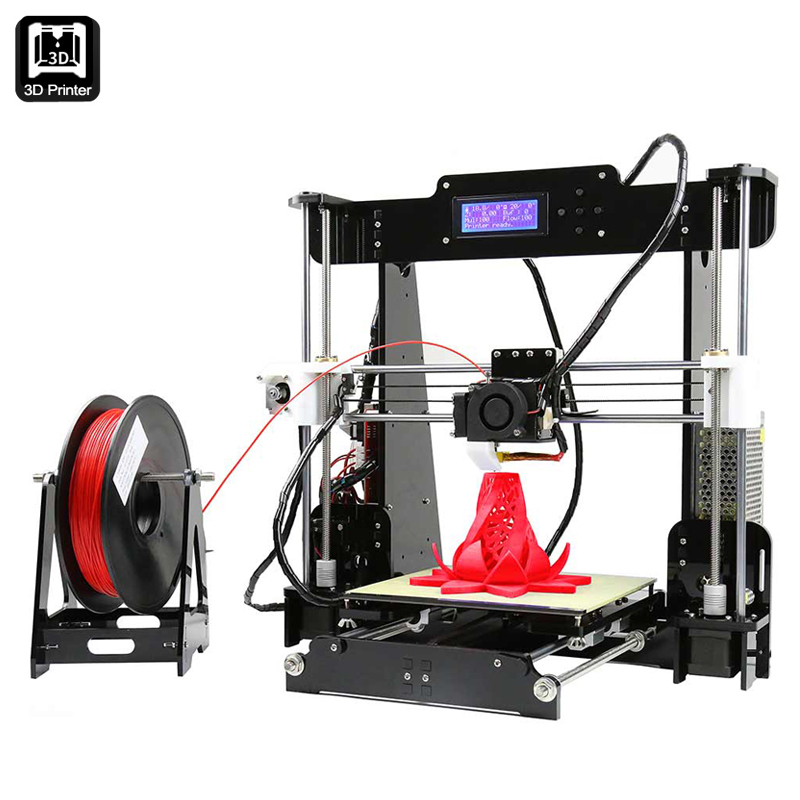 The Anet A8 3D Printer i3 DIY kit comes with a 12 months warranty, brought to you by the leader in electronic devices as well as wholesale electronic gadgets..